Well hello my friends! I hope you all had a great weekend. I appreciate all your sweet comments and support from my previous post about digging out of debt and following Dave Ramsey’s financial plan. I’ve been trying to tie up little loose ends around the house and this weekend I tackled a project I’ve been meaning to do for probably a year. It took me a total of about 10 minutes. I don’t know why I put these little things off for so long! Both quick projects were in my daughter’s room. I’ve been trying to just finish up this room but it’s all the little finishing touches that I really drag out for far too long! It has been leaning up against the wall and I’ve been meaning to hang it up so it’s easier for her to use. I finally got around to hanging it, and instead of putting it up on the wall behind her dresses, I stuck it on the inside of her closet door. It’s so low because she’s a kid and is short! As she grows I’ll move it higher for her, but this height makes sense for her right now. I have been getting more and more addicted to a new product lately. Have you guys seen the command strips by 3M? These things are the best! I really love the velcro ones for hanging pictures. I have a serious phobia about wasting random office supplies (I’m whackadoo, I know) so to have these stretch further I like to cut them in half. 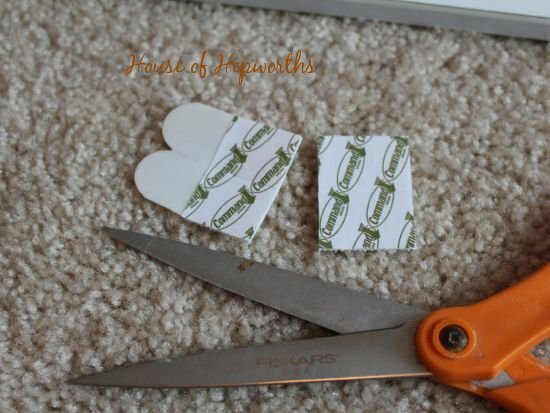 If you are using the velcro ones, you just take the top half of your cut and stick it to the bottom half. It’s like a two-fer. I usually will stick the strips to my frame first, then peel off the paper backing and stick the whole thing to the wall. 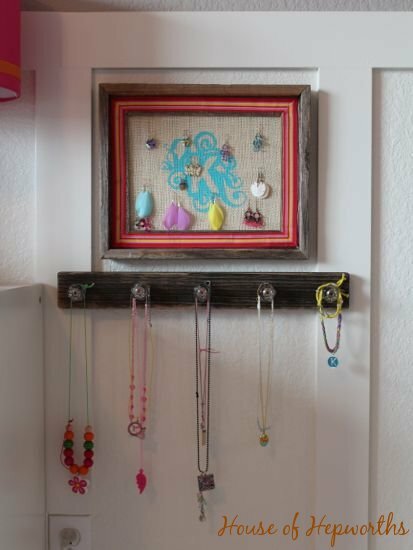 One more little update I did was to hang a necklace holder under her earrings frame. I found this cute little knob holder at Hobby Lobby on clearance oh, probably a year ago?, and I’m just now getting around to hanging it. Once again, it took me like 3 minutes tops. I hung it the same way – with the command strips. Just cut ’em in half, stick them to the back of your holder, and then slap them up on the wall. So much easier and less messy than a hammer and nails. And if you ever want to move your frames, there are no holes in your sheetrock. Can you see why these are quickly becoming my favorite go-to item? Finally, two more little things to check off my daughter’s room list. So close! PS, this post is not sponsored by anyone. 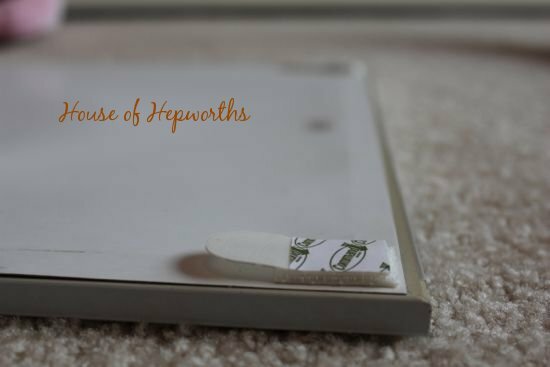 I am writing about command strips because I love them. I LOVE command stuff! I use it all the time for organizing, too! I love those Command velcro strips too. I’ve used them to hang several things. I never thought of cutting them in half like that. I had to cut some in half vertically to make them skinnier so they’d attach to something that had a narrow frame, but now I know that money saving trick I’m going to do that from now on. Thanks for the tip. Glad to see you daughter’s room getting finished. I know what you mean about the little things taking the longest. Have used the hooks but not these. Thank you for sharing. Thanks for this post!! 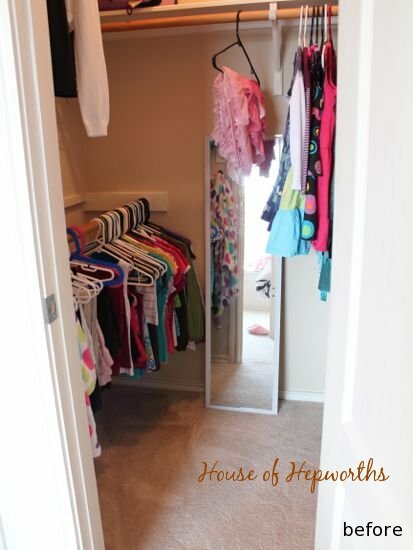 I’ve been thinking of sticking my mirror to my own closet door instead of leaning it against the wall, but was afraid the idea wouldn’t work. Now I know it will. WooHoo!! 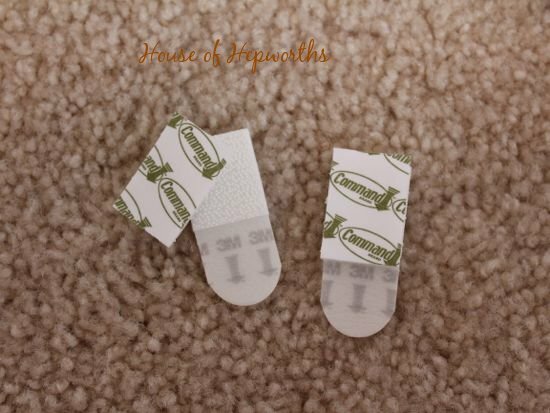 So, I love the command strips too, and am all about saving money on them. But how are you supposed to remove the cut ones when you’re done with them if you’ve cut off the pull tab? 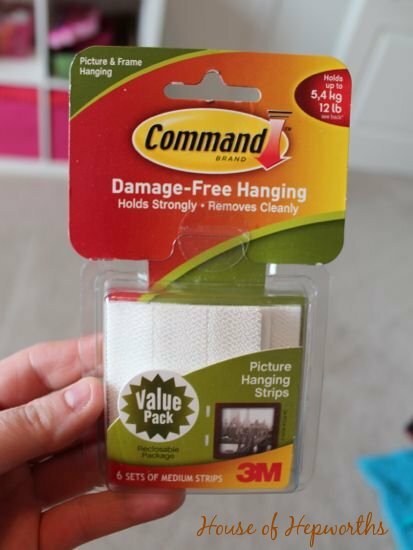 I should seriously own stock in 3M because I love command products so much:). I have hooks in my kitchen for holding things like potholders and aprons, and I also use them in my coat closet for holding hats. 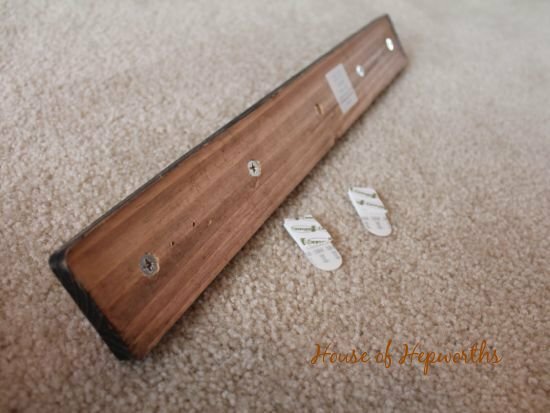 I use the strips for picture hanging, and I use a few items for holiday decorating. I always hang Christmas lights in all of my windows, so I use their little plastic hooks for the wires. My windows have the “panes” inside the glass, so I just place them along those at the top of each window so they can’t be seen from the outside. I leave them there year round, so all I have to do is attach the lights each year. And I use the heavy silver hooks to hang my Christmas wreath each year. Best products! I wish I had stock in 3M. Those Command strips are the greatest thing since coffee. Well, almost. And? 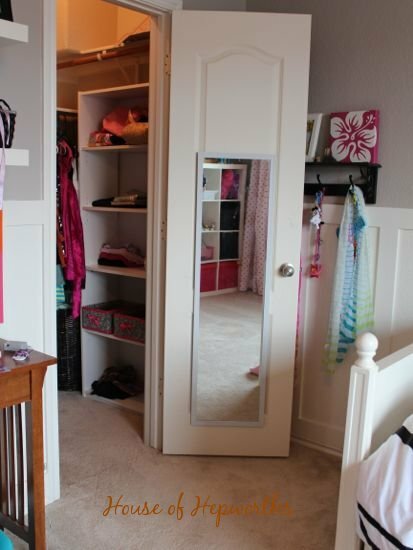 I’m completely jealous of the mini-walk in closet your daughter has.